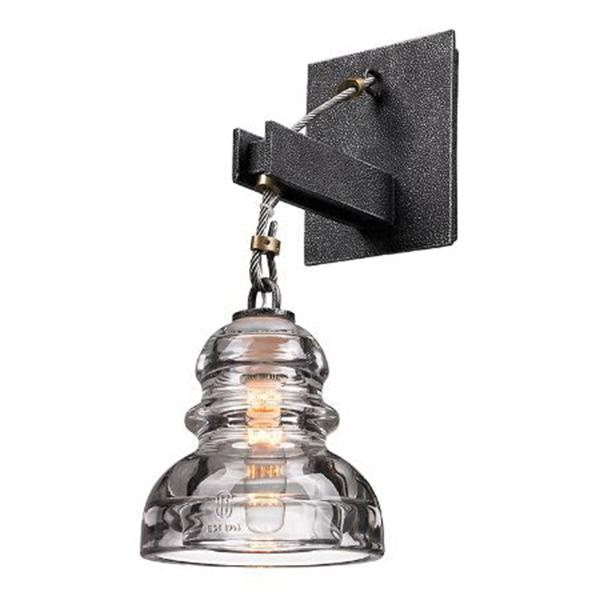 Troy Lighting Menlo Park Collection Transitional wall sconce in old silver color, uses 60-Watt incandescent bulb and glass shade to deliver superior and effective illumination. It has hand-worked wrought iron, stainless steel and solid brass construction for added durability. Sconce is UL listed.